True blue kyanite will transport you to your next adventure. 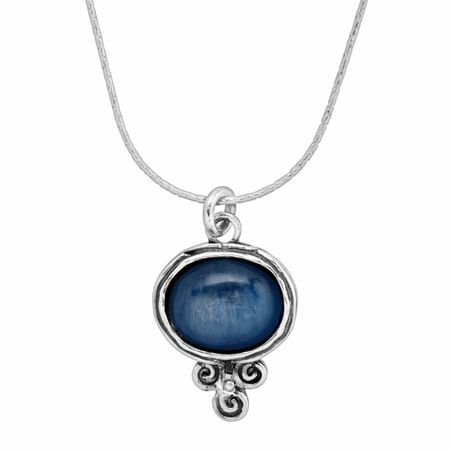 Reminiscent of the ocean, this pendant features waves of sterling silver and a natural kyanite cabochon. Pendant measures 1 by 5/8 inches with a total length of 18 inches, plus a 2-inch extender for adjustable length.